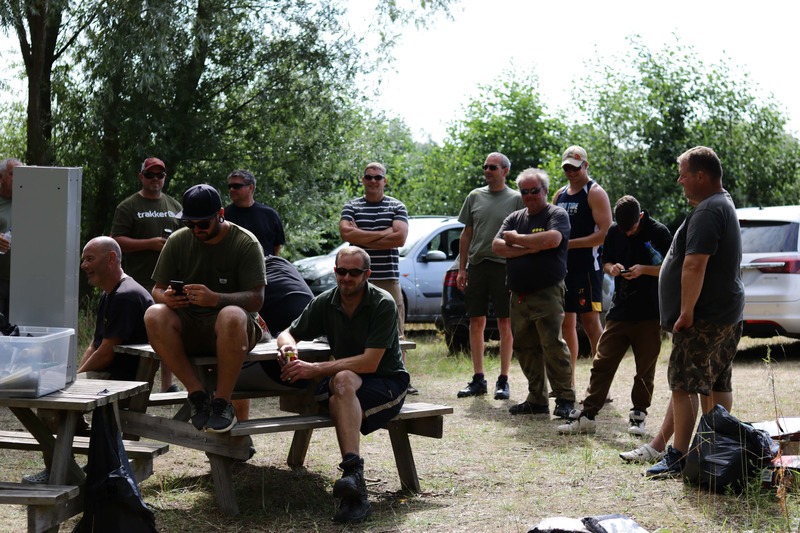 The weekend of the 3rd-5th August saw the second TeamPCF social of the year held on the mighty Holme Fen Fishery. 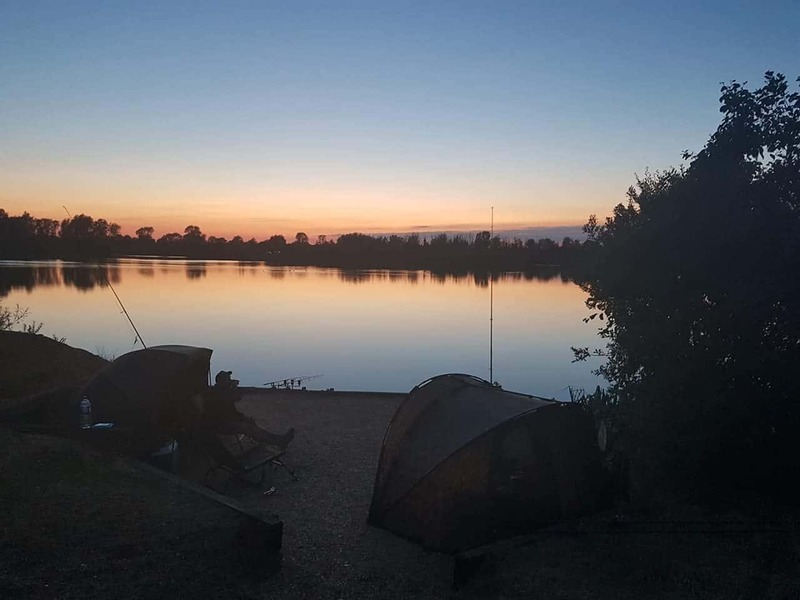 With the week leading up to the social only producing 6 fish and the weather reported to be possibly the hottest weekend on record, we didn’t expect the fishing to improve a great deal over the coming weekend – how wrong was we! Once the draw was done the lads went round to their respective swims to get set up. For once the weather forecasters were not wrong, it was hot, very hot! It was our consultant and Angling Coach Mark Horspool that got off the mark first fishing The Beach swim. 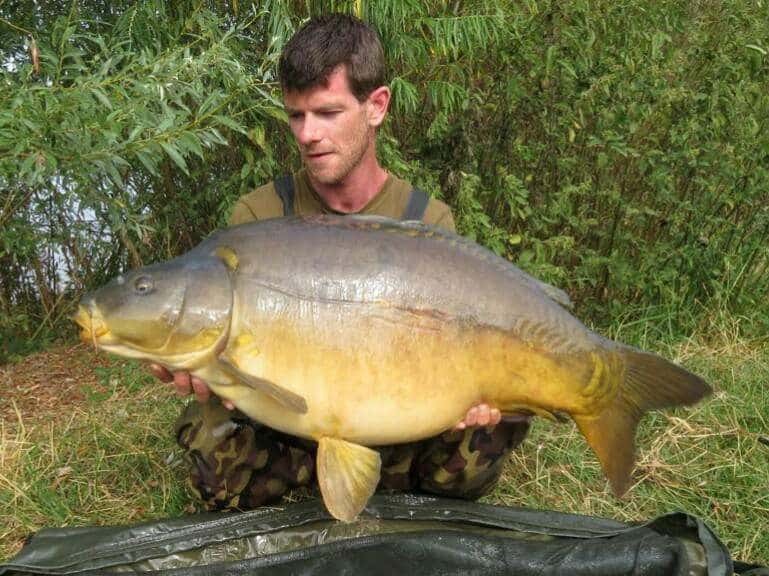 Mark landed a 34lb 14oz mirror, shortly followed by a new PB of 40lb 8oz. 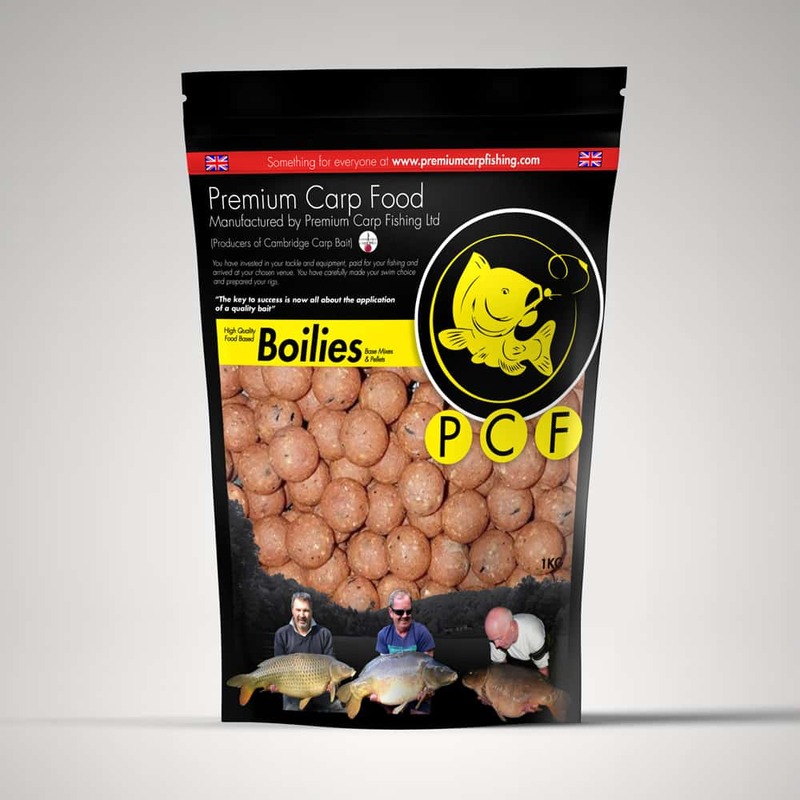 The fish and chips were delivered to each swim on the Friday night and the banter and laughs that could be heard around the lake shows what great bunch of guys make up TeamPCF. The first bite of the night came to Aaron who was fishing in Jakes, a swim that gets ignored, but can produce when other swims are quiet. 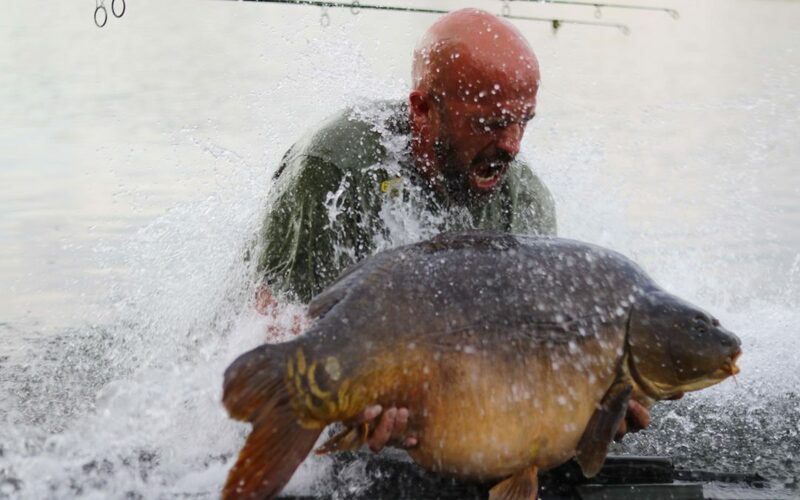 This was another PB of 36lb 12oz, well done Aaron. 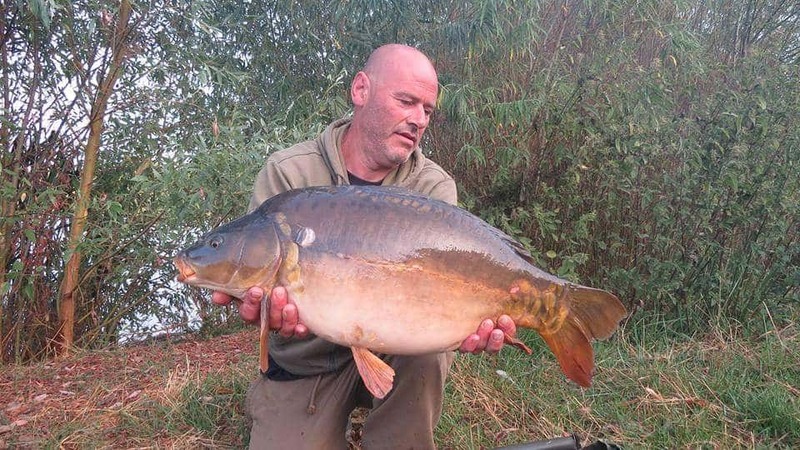 Colin Horspool who was fishing in the Island Double landed a mid double mirror at first light. 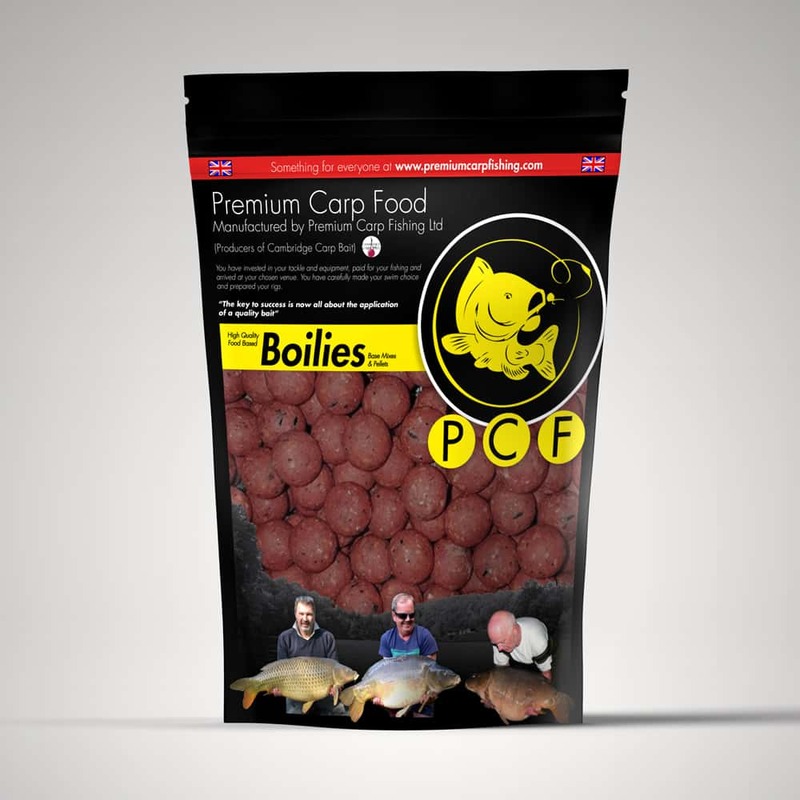 The fish was lifted onto the scales and gave a reading of 51lb exactly, one of the biggest fish caught on a PCF social and yet another PB. Mark let his fishing partner Simon take the next bite which came a few hours later at a weight of 43lb, another PB this time for Simon. A little bit later Marks rod went again, this time a smaller fish of 26lb. 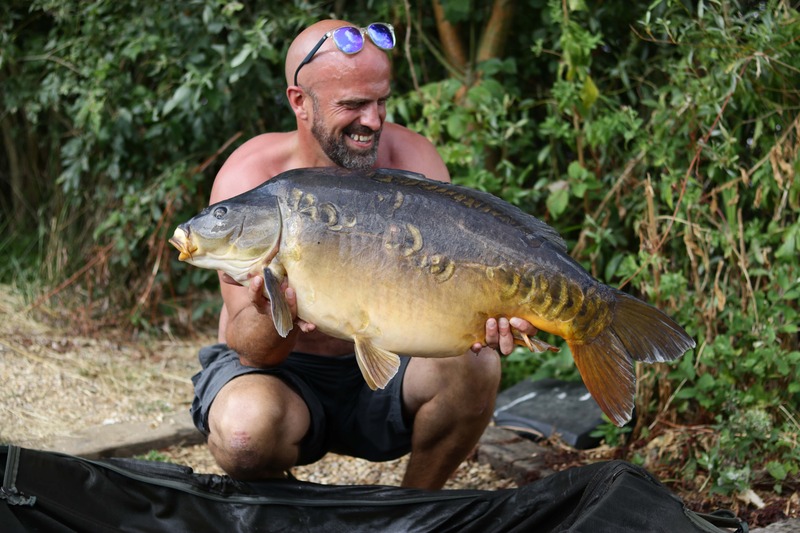 As the day went on, the temperatures increased and the fish stopped showing as much although a few were seen in front of Harrys, so it was no surprise when Craig Glover’ rod burst into life. 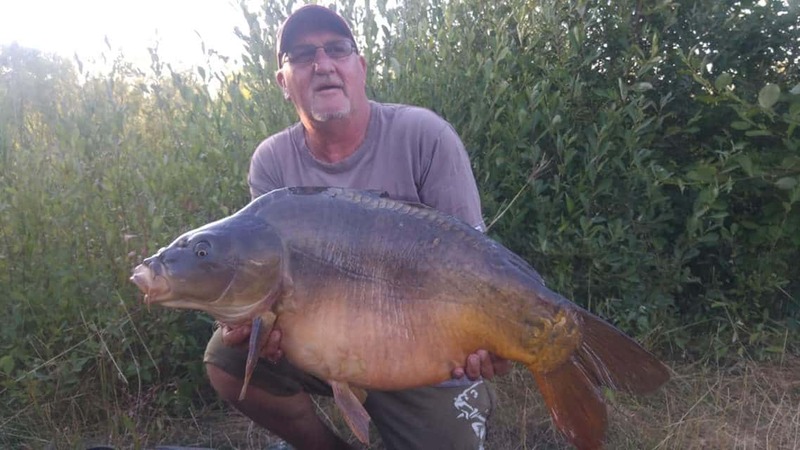 After wiping out 2 of their rods and diving into several weed beds the fish was netted, this again turned out to be another personal best at 38lb. 5x PB’s in less than 24hrs!! At around 3pm the guys headed round for the BBQ cooked by our TeamPCF BBQ master Adam. 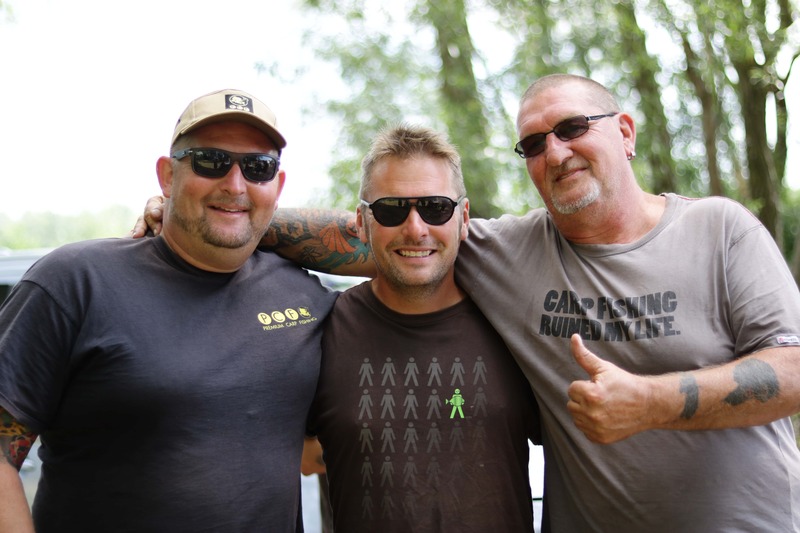 The comradery amongst the guys was brilliant, lots of laughs, congratulations, stories and a lot of ribbing about Mark missing the fish with the net. Raffle tickets were bought and beer was drunk. Once the food was consumed everybody returned to their swim and got their rods out for the last night. It was only a couple of hours before Andy Blythe who was fishing Four Strong Winds was into a hard fighting mirror of around 21lb. Whilst he was playing it another alarm could be heard from the other side of the lake coming from the swim Lookout. 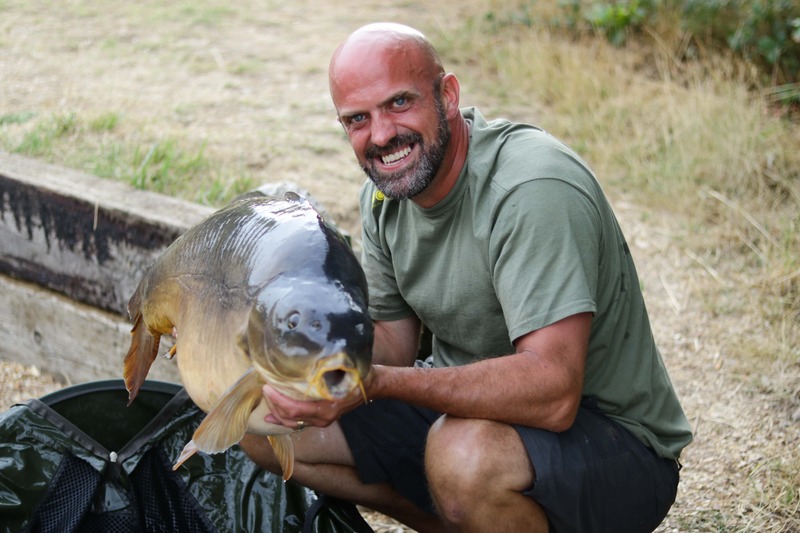 Steve Dorman was playing a hard fighting fish which gave him a good run a round resulting in Wayne ‘Cheeseburger’ having to wade out through the reeds to net it. The deep 2ft margin was up to his waist before the fish was in the net. At 36lb the Holme Fen mirror was lifted for the Cameras. This was turning out to be a great social! The night was relatively quiet, other than Colin landing another mid double from Island Double (he was on pest control). 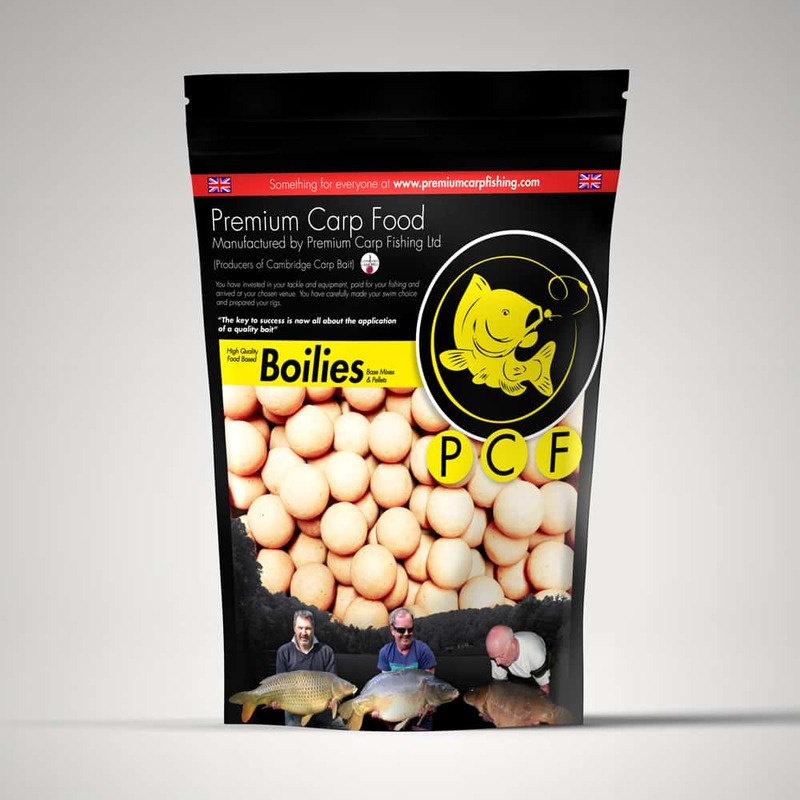 At about 7am Daryl Tilling who was fishing in Jakes landed his first ever Holme Fen Carp at 26lb 8oz. These fish don’t always give themselves up easily so everyone was really happy for Daryl. Fish could be seen turning over and slicking up in front of Harrys and Craig’s rod burst into life again. 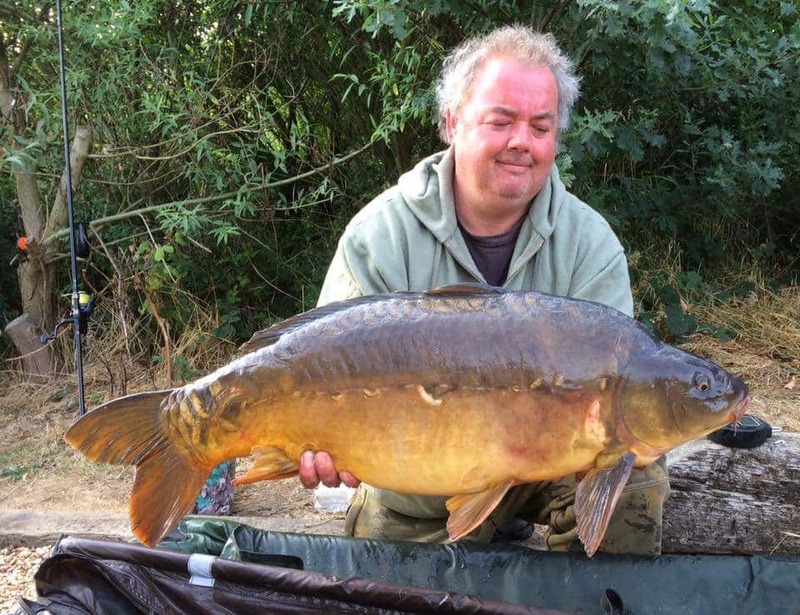 This fish turned out to be yet another 30, 34lb 12oz. 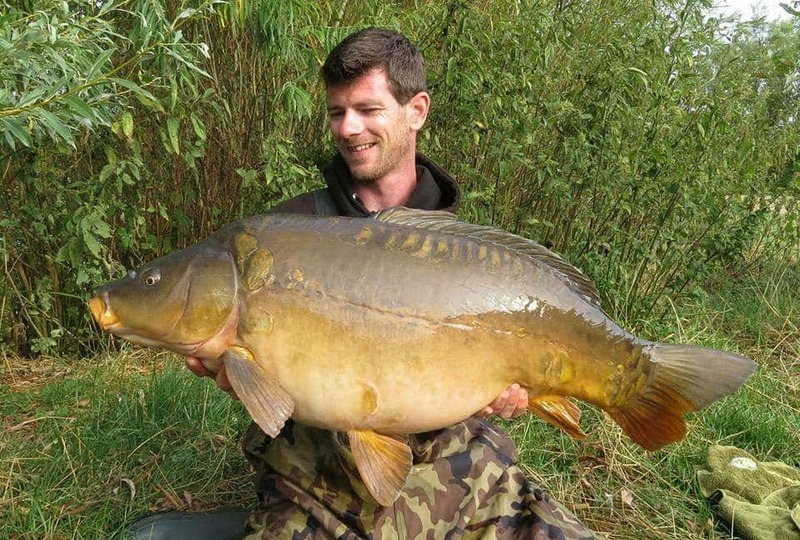 Craig’s fishing partner and PCF legend Manc Si then landed a 18lb mirror. 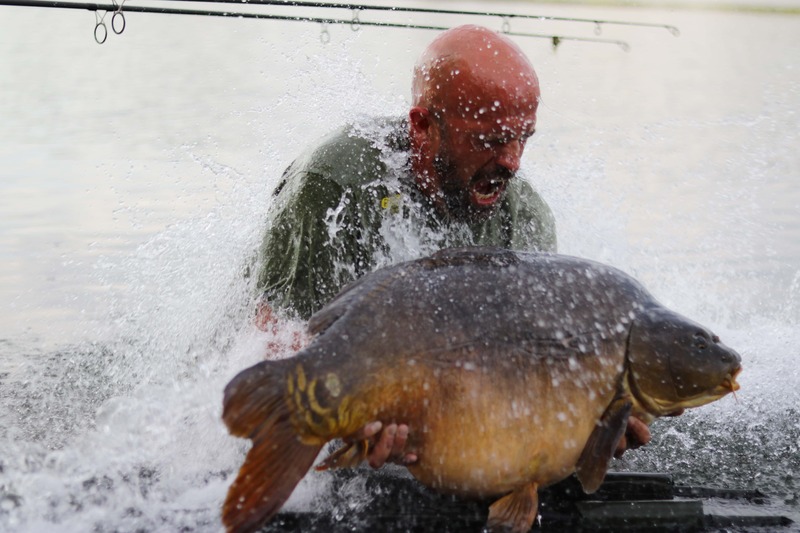 Another 30 fell to Craig’s rods shortly after, a mirror of 36lb 8oz giving him a hat trick of 30’s! 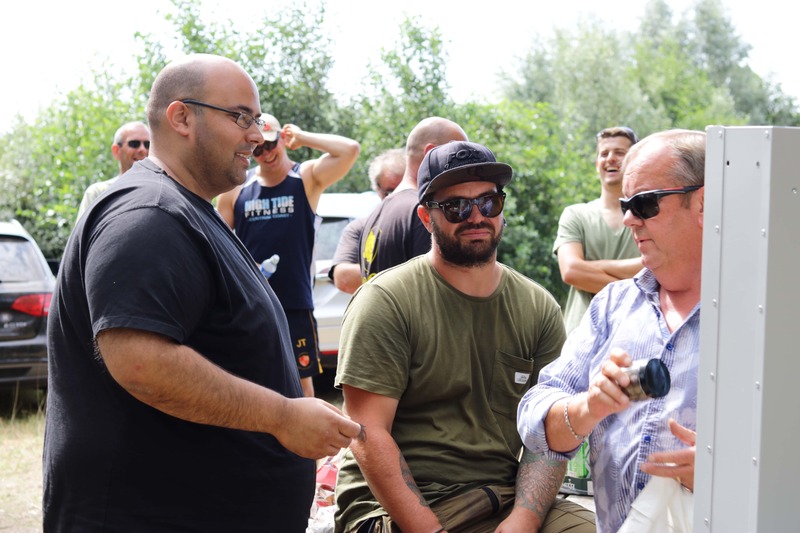 All rods were reeled in at 10am and everyone met up for the presentation, raffle draw and fines. 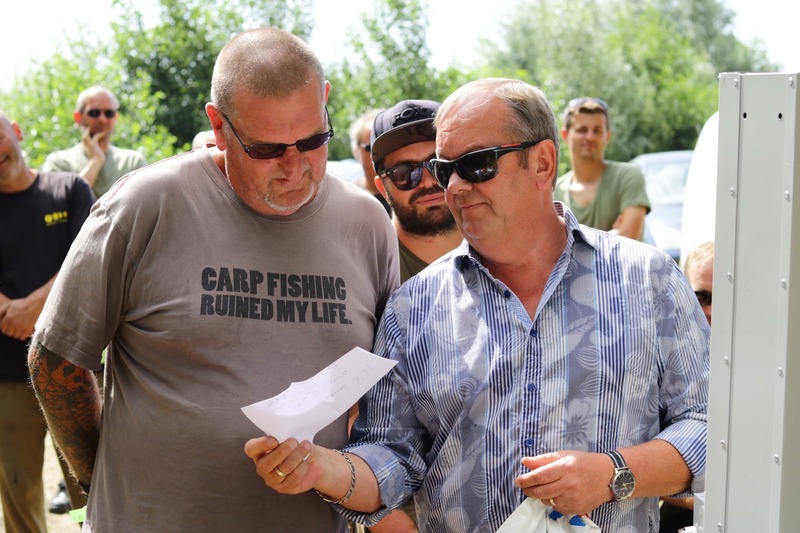 The fine system we run at the socials means everyone gets fined for something, whether it is catching a fish, a PB, losing a fish, burping, farting or snoring everyone gets at least one. 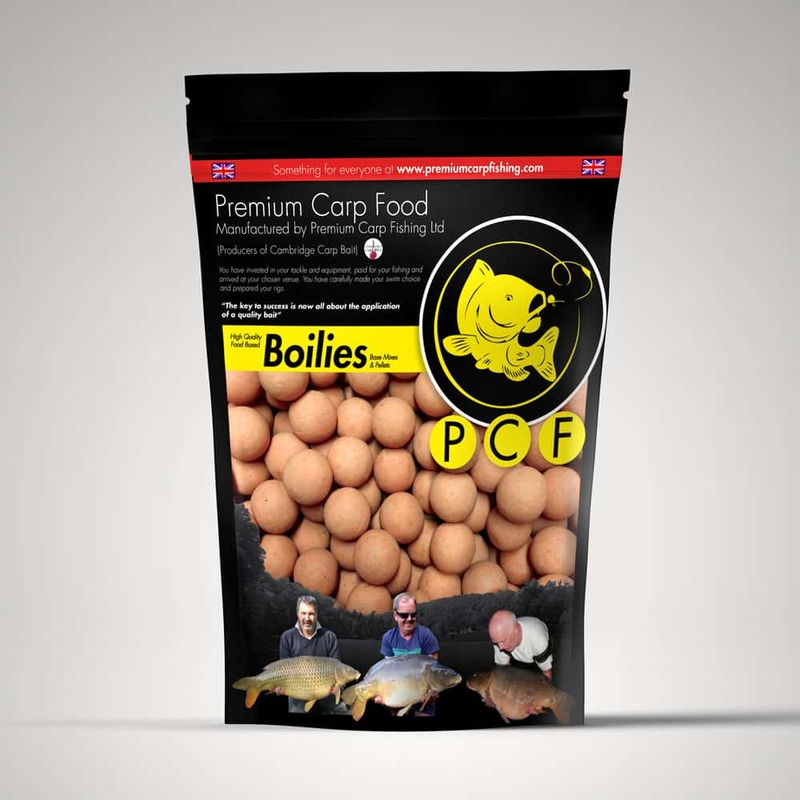 All monies raised this year will be donated to Papworth Hospital, a charity that is very close to PCF’s heart. We have a running total so far of around £850.00 and with a couple more socials planned, we’re sure there will be a lot more raised for such an awesome charity. We would just like to thank Martin and Mike who allow us to use their venue for our socials and a very big thank you to all of TeamPCF who make these socials the best out there. The final tally for the weekend was 3x doubles 3x20’s, 7x30 2x40’s and a 50!. Not bad at all!